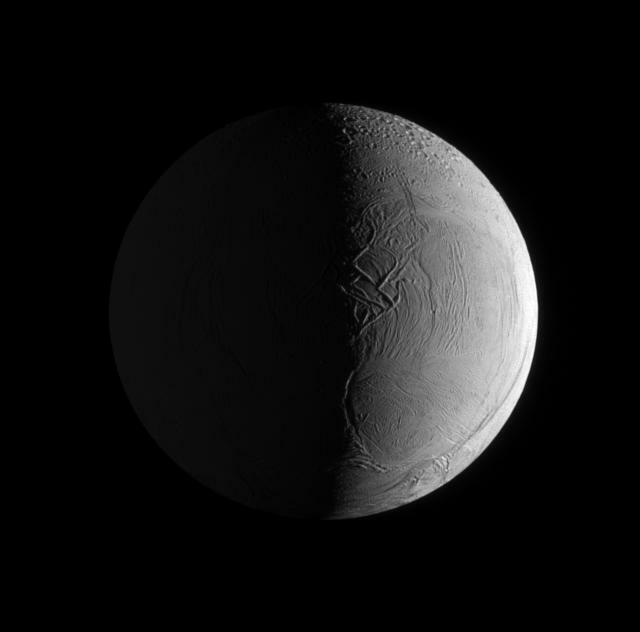 Two sources of light illuminate the textured surface of the moon Enceladus. On the right of the image, sunlight bathes the anti-Saturn side of this geologically active moon. Saturnshine dimly lights the Saturn-facing side of the moon on the left of the image. The moon's surface is scarred by fractures, folds, and ridges. 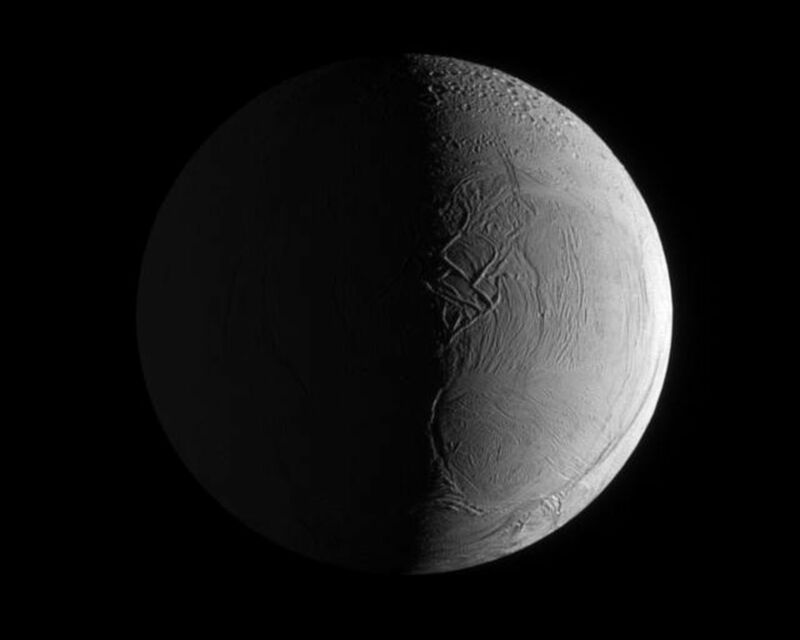 This view looks toward the trailing hemisphere of Enceladus (504 kilometers, or 313 miles across). 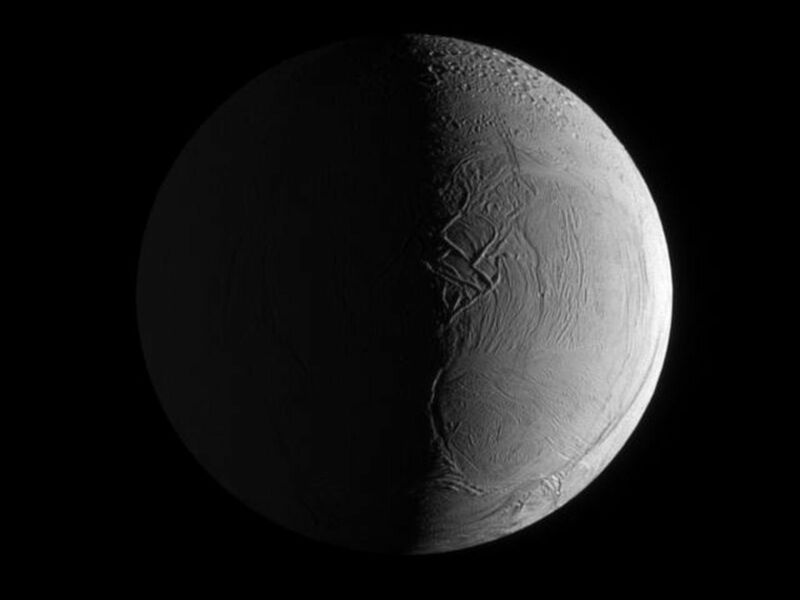 North on Enceladus is up. The image was taken in visible light with the Cassini spacecraft narrow-angle camera on July 26, 2009. 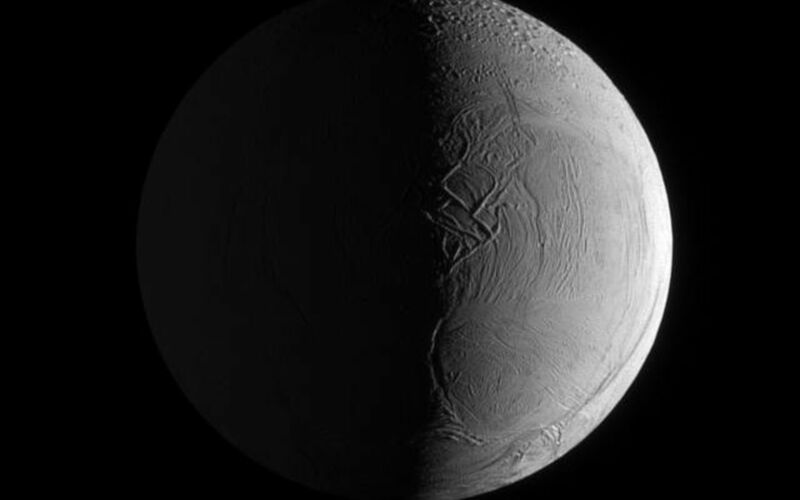 The view was acquired at a distance of approximately 199,000 kilometers (124,000 miles) from Enceladus and at a Sun-Enceladus-spacecraft, or phase, angle of 97 degrees. Image scale is about 1 kilometer (3,281 feet) per pixel.